Not so long ago the only way that the internet could be accessed was on a personal computer or laptop but today people can use a wide range of devices to access the internet, from iPads and tablets to smartphones. When we talk to children about staying safe online, we hear from them that they use their phones a lot to access the internet, particularly as they get older. Smartphones have undoubtedly made our lives easier but they are also a concern in particular to parents as they are not always aware of what their children are doing when they are on their phones. The reality of parenting in an age where children are surrounded by a myriad of devices means that eventually your child will ask for a mobile phone and more than likely a smartphone. The decision as to when you purchase a smartphone for your child is entirely yours. Here we offer some advice on things to bear in mind before you make that decision and when the purchase is made, how to make sure that your child stays safe when or if they are using a smartphone. One of the first things to bear in mind before purchasing a smartphone for your child is to consider their maturity. As their parent you are best placed to assess this. 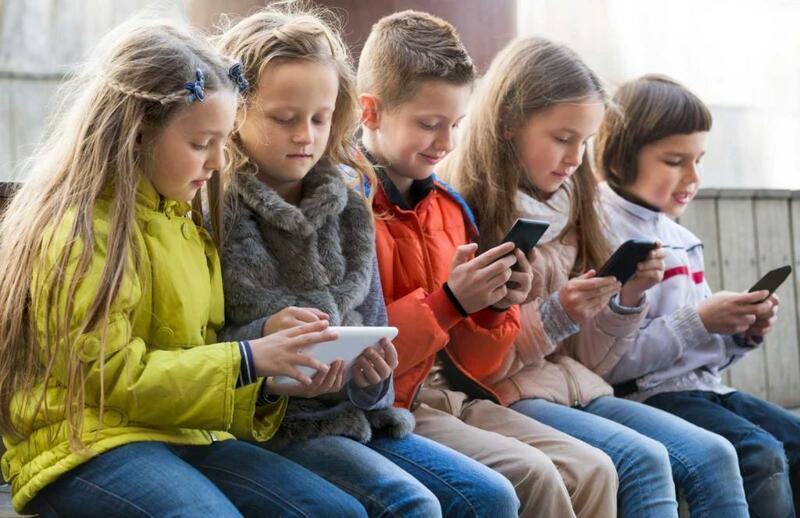 This is important because regardless of how good the safety settings are on the device, your child is still going to be interacting in a new way with their friends and could be exposed, even inadvertently, to content that may not be age appropriate. They will need to have the maturity to be know how best to deal with it. If you consider that your child is mature enough to use a smartphone and you go ahead with a purchase, it is helpful to have a conversation with your child about staying safe when they are using their phone. It is likely that you already have some agreed ‘rules’ in place regarding the use of technology, such as a realistic use of screens. However when children first get a smartphone they can forget that the same rules apply! In particular reinforce with your child the importance of behaving the same way they do when they are online via their phone as they would when they are offline. Also the Stop, Block, Tell Rule is very effective where smartphones are concerned and can help to combat cyberbullying in a very real way. At Zeeko we promote the concept of active mediation in relation to online safety. Active mediation essentially means having an open communication style with your child, where they can feel safe in coming to you with any concerns they may have about their online experiences. They should also feel safe in the knowledge that they won’t be punished for being honest with you. It can be very tempting to do something like ban the use of smartphones as a form of punishment but in reality this can cause additional conflict. If your child feels they can approach you to tell you the good and not so good things that they have experienced online, then that is a very positive start to helping to make sure that they stay safe when using smartphones. Our publication The Zeeko Internet Safety Guide offers more comprehensive advice on helping your child stay safe online including a specific chapter on safety settings on a range of devices. You can buy a copy of the book here. We regularly update our social media channels. You can keep up to date with our work at Zeeko by following us on Facebook, Twitter and LinkedIn.